“AAARTH” – An Amazing Album Reaches Tremendous Heights! Please let me chew on the words of a recent blogpost for a moment…. (munch, munch, munch). Thank you. I really thought nothing could possibly equal Metric’s Art of Doubt when it came to new Alternative Rock music in 2018. Well, The Joy Formidable has done just that with their new release entitled AAARTH (‘Arth’ mean ‘Bear’ in Welsh). As rock band best known for its deep-booming and sonic guitar-riffing anthems, they have released an amazing new album. 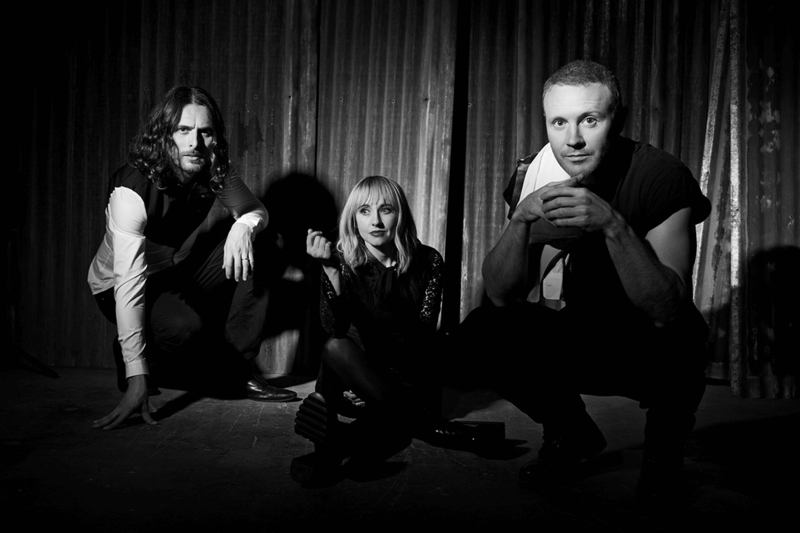 AAARTH is The Joy Formidable’s stirring musical exploration and experimentation into sounds not heard on their previous releases. What fun it must have been to venture into these new realms, but at the same time must have been a little scary to wander outside the band’s traditional comfort zone. Other bands, including Metric, have tried the same with varying degrees of success. Thankfully, in this case, The Joy Formidable totally succeeded in expanding their artistic range and musical chops. I love the variety of music that emanates from the record, but I also love how the band remained loyal to its roots. Too often, bands can become typecast in a certain sound or style of music. The Joy Formidable has broken those restrictive bonds to give us a triumphant new album. While I don’t relish as many tracks on this album (8 of 11) as I do on Metric’s new release (10 of 12), the uniqueness, range, and innovativeness of AAARTH offsets the difference. My only wish is that The Joy Formidable had also included the acoustic version of “The Better Me” on the new album (see video above) – it is a beautiful song whose lyrics fully resonate when you hear it acoustically. Nevertheless, thank you Ritzy, Rhydian, and Matthew for some terrific new music! Here’s my list of favorite tracks from AAARTH. This entry was posted in art, culture, entertainment, fun, Language, Music, music reviews, songs, UK, video, writing and tagged AAARTH, album reviews, music, songs, The Better Me, The Joy Formidable, Wales. Bookmark the permalink.